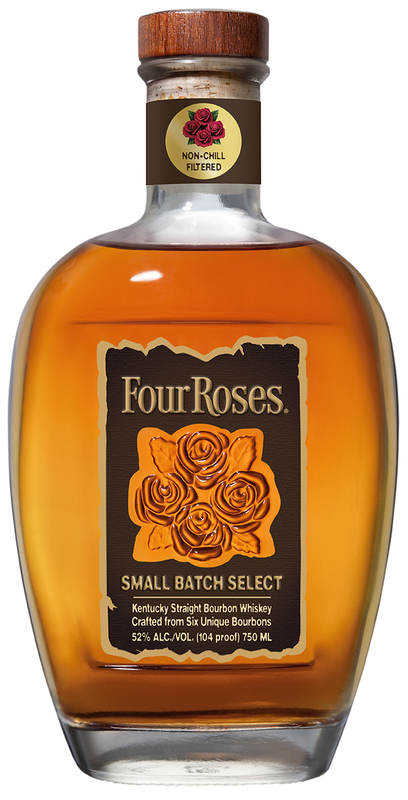 Four Roses Bourbon tells BourbonBlog.com that the 4th rose to make up “Four Roses” is being added to Four Roses’ permanent lineup of their Bourbons. The introduction of Four Roses Small Batch Select will be the distillery’s first permanent product-line extension in more than 12 years, joining Four Roses Single Barrel, Four Roses Small Batch and Four Roses Bourbon (often referred to as “Yellow Label”}. Non-chill filtered and bottled at a 104 proof, Small Batch Select will launch initially this spring in Kentucky, New York, California, Texas, and Georgia. Small Batch Select will be available in additional locations in the future. As BourbonBlog.com looks back to our own early days as the first Bourbon media outlet, Four Roses Single Barrel was introduced in 2004 and Four Roses Small Batch premiered in 2006. 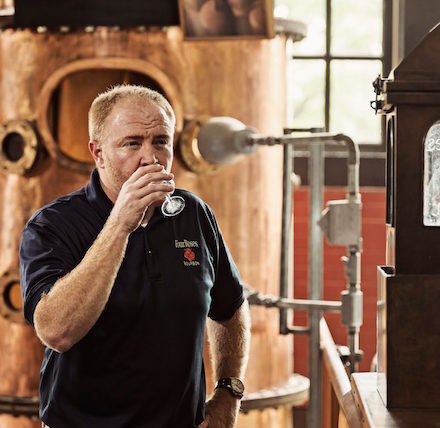 “We wanted to add something to our lineup that brings that pure experience you get with a non-chill filtered Bourbon, while also showcasing some of our recipes and flavors that aren’t as forward facing in our other existing bottles,” Master Distiller Brent Elliot tells us (pictured below). While details of which Bourbon recipes of the six unique Bourbons that Elliott crafted from for Small Batch Select will be announced this spring, Elliott said each will be a six and seven-year-old Bourbon. The brand says it will be priced slightly above Four Roses Single Barrel and would be available at earliest in April. On the nose, Four Roses tells us Small Batch Select offers raspberries, clove, and nutmeg. As it hits the palate, it opens into flavors of apricot, ripe berries, vanilla and light oak. The finish lingers with notes of spearmint and a touch of cinnamon. For more updates on Bourbon releases and to be first to know the whiskey news, subscribe to our newsletter on this link.